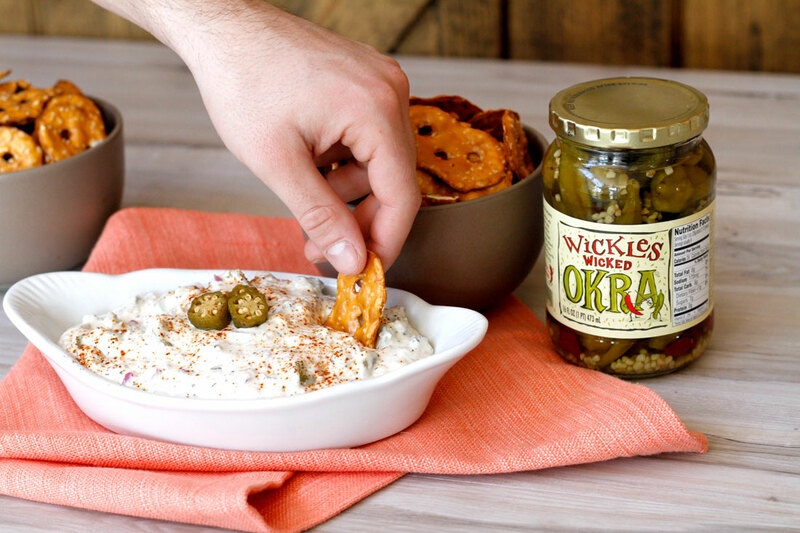 If you’re looking for another occasion to pop open a jar of Wicked Okra®, here it is. In a large bowl add cream cheese, red onion, okra juice, garlic, and pepper. Combine with a hand mixer. Add okra and continue mixing until combined. Refrigerate at least 3 hours and serve within three days of making. Serve with your favorite chips or crackers.